Are you tired of going through product after product in order to get rid of your acne problem? Here a few simple homemade face packs that treat acne without burning a hole in your pocket. Lemon & Honey: It is the most effective natural remedy for acne. Take a slice of lemon, smear it with honey and apply it on your face. Wait for 2 minutes and wash it with cold water. 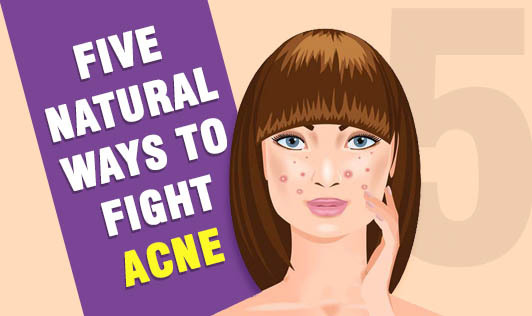 This remedy not only moisturizes your skin but also dries out the acne. Tomatoes: They are rich in skin-friendly vitamins and antioxidants that help in curing acne. Take a slice of tomato and rub it on your skin. Leave it on for 5 minutes and wash it with cold water. Yogurt & Cucumber Face Pack: Cucumbers being rich in vitamin C are good for treating skin irritation and swelling. The combination of yogurt and cucumber makes for an effective antifungal and antibacterial face mask. Mix a teaspoon of cucumber paste with half a teaspoon of yogurt. Gently massage this mixture onto your face and wash with lukewarm water. Clay Masks: Natural clay masks detoxify the skin and prevent acne. Clay masks work better on oily skin and must not be used more than twice a week. Along with using these packs, it is advised to take facial steam. Steaming is part of the deep cleansing routine and is highly essential for acne-prone skin. It clears pores and removes excess oil and debris. A facial steam routine at bedtime with essential oils and tea added to the steaming water helps in opening up the pores.